Did your family settle here long enough to leave records or just pass through? If so stop here and browse. Looking upstream on the Monongahela from McKeesport PA. Within these pages you will find information of historical and genealogical value regarding the areas along the rivers and nearby communities. Specifically, the areas in Allegheny County of McKeesport and Elizabeth Township along the Youghiogheny River and from Elizabeth Boro going toward the City of McKeesport on the easterly side of the Monongahela River, from locations near Floreffe to Dravosburg in western Pennsylvania. 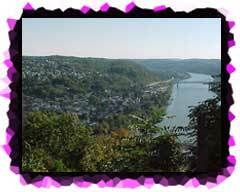 Because of the two rivers, the Monongahela and the Youghiogheny, many communities grew and prospered here. From this point on I will refer to these rivers as the Mon and the Yough. 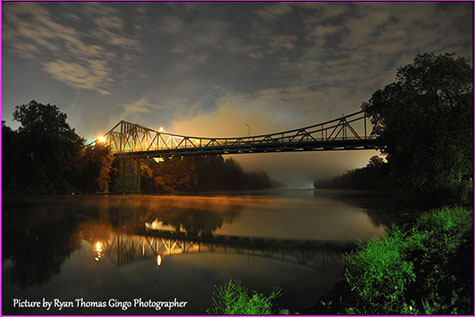 The confluence of the Mon and Yough is at McKeesport and is commonly called the "Forks of the Yough". During the 1800's boat building was carried on along the Mon. Many people moved here to engage in this industry among others. You can browse this web site by using the links at the top of each page. During your visit you will see many pictures of scenes around the area. Most pictures can be clicked on for a larger view. A beautiful picture of the Boston Bridge at night.